On October 29, 2018, God granted Shirley Palubicki her wish and gave her wings. Shirley was born May 16, 1926, in Rose Lawn to Kenneth and Victoria (Milewski) Lamberg. She married Rapheal Palubicki on September 5, 1948, in Pulaski. He preceded her in death July 17, 1982. 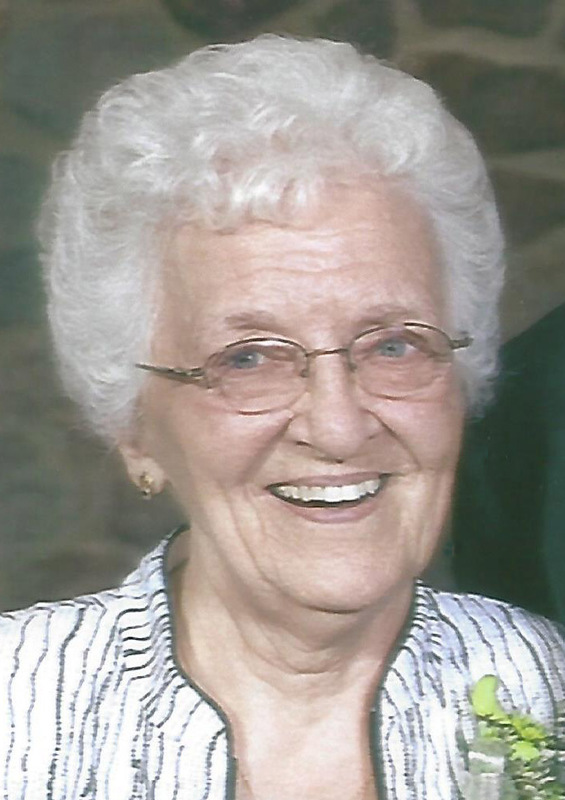 Shirley was an outgoing person – whether working at Lamberg’s Tavern for Friday fish frys, Wendzikowski’s Meat Market, or Segall’s, volunteering at the Assumption B.V.M. produce wagon, or delivering Meals on Wheels. She was always willing to help which resulted in forming many friendships throughout her life. Shirley will be missed by her daughters: Lynn (Dale) McKeefry, Faye (Tony) Van Asten, and Jann (Pat) Hinnendael. 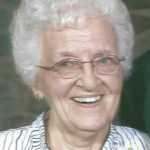 She is also survived by her “six pack” of grandchildren: Drew (Amanda) McKeefry, Nick (Katie) Van Asten, Forrest (Carolyn) Van Asten, Liz (Kyle) Redjinski, Sam and Jack Hinnendael and her great grandchildren: Sawyer, Morgan, Tilly, George, and Teensy Van Asten; her sister, Sharon Witham; one sister-in-law, Edna Palubicki, and two aunts: Regina Radell and Marian Haubert; many nieces and nephews, other relatives and friends. In addition to her husband, Rapheal, she was preceded in death by an infant sister, Eileen; a brother, Vernon (Jackie) Lamberg; a brother-in-law, Ernie Witham; and Rapheal’s family: Blanche (Earl) Chuppa, Ceil (Otto) Lapedus, Tess (Tony) Wendling, Regina (Ed) Zablocki, Dorothy Palubicki, Trudy (Jack) Fewell, Rosemary (Frank) Glowinski, and Richie Palubicki. The Funeral Mass was celebrated at 11:00 a.m. Monday, November 5th at Assumption B.V.M. Church in Pulaski, Fr. Patrick Gawrylewski, O.F.M., presiding and Fr. Brendan Wroblewski, O.F.M. concelebrating. Burial took place in the parish cemetery.